"about all the women who are busy with household work & professional life".So I came up with this event to make a collection of all possible easy recipes here at my blog & make all our life a little easier. Post it in your blog and link back the recipe to my event. Use of logo is appreciated. Can send in multiple entries. Event starts from 26th of Nov 2012 & ends on 26th Dec 2012. 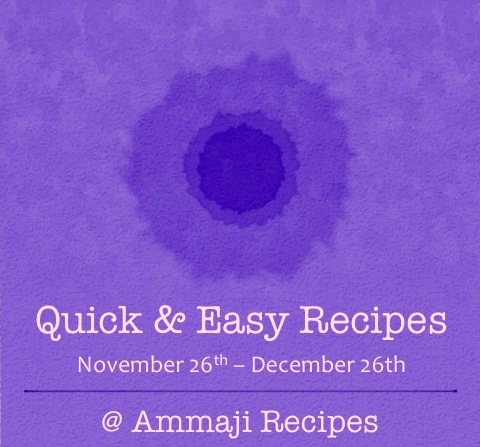 For any questions you can mail me to ammaji.recipes@gmail.com or you can just leave a comment to my Facebook page Ammaji Recipes. happy hosting!!! will surely send some entries!! Where should I link the recipes? Also are archived posts allowed? Hi Sowmya.. Yes you can use archived post.. Happy hosting,will send my entries. 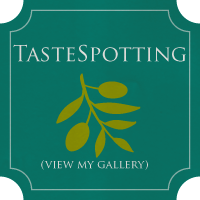 Hi Roha.. Don't worry regarding the logo.. Just link in your recipes..
Nice blog and a good theme! Just posted a recipe today . Will send you that! first time in your space..have linked one of my entry..luv your blog..happily following you..
Hi Rani.. You can ignore the logo.. :) & can link in your recipe to the event ..
Hey very good event i will send you my entry. how to add logo ? Hi..You can ignore the logo.. I have linked my entry. Do check it out. Cooking Blog by cooking is licensed under a Creative Commons Attribution-Noncommercial 3.0 United States License. Based on a work at ammajirecipes.blogspot.com. Permissions beyond the scope of this license may be available at http://ammajirecipes.blogspot.com/. © Copyrights reserved to "Ammaji Recipes". Simple theme. Powered by Blogger.